Buy dog collars, leads & clothing from Puchi. 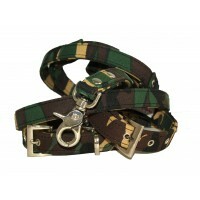 Designer dog collars for all sizes and latest fashion. Shop online for beautiful designer dog accessories from the UK. 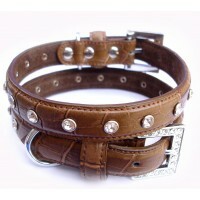 Our "bad to the bone" leather collar will look great adorning any pooches neck! Set wit..
Beautiful handcrafted dog collars for those football crazy Puchi lovers just simply clip on aroun.. REDUCED FROM £18.99. 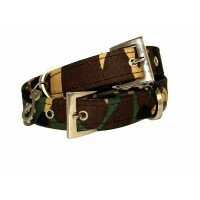 For the coolest dogs, these Camo collars are great fun for rough &..
Puchi's favorite! 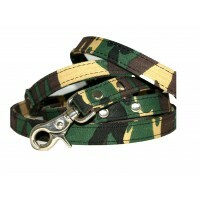 The Camouflage canvas collar and lead set is great if your dog fancys a bit..
SALE This canvas collar is great if your dog fancys a bit of combat! With chrome fittings this co.. This 4ft lead is a great match for the Camouflage collar. It is made from strong canvas! Great .. This stunning diamante collar and lead set is the must have for any street wise pup! With a choco.. 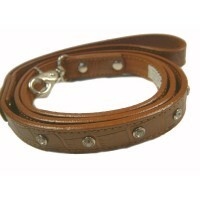 This chocolate colour dog collar is for the up to date stylish dog! The Choc Croc collar has a be.. This beautiful chocolate coloured lead is perfect for pooches with style! Matching Collar av.. These stunning collars will look great on any furry neck! 2cm width. Made from moc croc with su.. 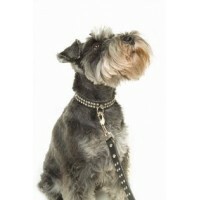 This beautiful jewel encrusted lead is a wonderful accessory to any collar! 4ft long with .. Stunning collars,will look great on any furry neck! Made from emerald moc croc with superior qual.. 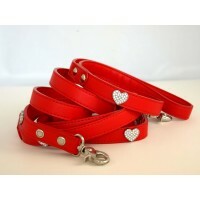 These collars and lead sets are for the supercool dog that loves a bit of bling! They are back by.. These collars are for the supercool dog that loves a bit of bling! They are back by popular deman.. The perfect accessory for any fashion conscious pooch that loves a bit of bling. 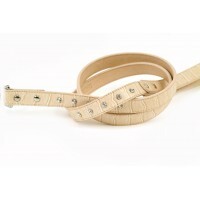 The lead is 4ft ..
Give your Puchi a smart dash of modern elegance with the latest luxurious designer collars. Made .. This stylish set consists of a collar and lead. The collar is stunningly set with clear diamante .. 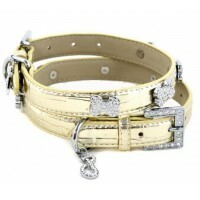 This amazing gold metalic dog collar is stunningly set with silver bones with diamantes inset! .. 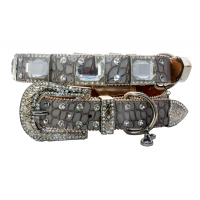 This stunning lead compliments the Dollar Collar with its style and bling! Available in 4ft .. Complete the Fuzzy collection & grab the Collar & Lead set in this set saving pounds ..
Show your pooch just how much you love them with this bright red collar encrusted with crystal di.. This lead will have hearts in their eyes as they walk! With a diamante encrusted heart at the top..
Hand made thick leather studded leads specially toughened for the Gladiator type of pooch!! ..
Hand made thick leather studded collars and leads specially made for the larger dog and will suit..
Hand made thick quality leather studded collars specially made for the larger dog and will suit m.. Designed in fashionable jewels set on silver plated frames encrusted with diamantes, incorporatin..
Puchi Petwear is THE online pet boutique bringing fashion and style to the wonderful world of pets. Pets should be loved and pampered. Puchi continues to grow and grow every year and endeavours to bring new styles and unique designs to the discerning, fashion conscious pet owner as only Puchi can!